2.4 miles east of Prentiss Bay on M-134 will bring you to a road pull off which allows access to the west entrance to the preserve. A pull off .4 miles further allows access to the east entrance. 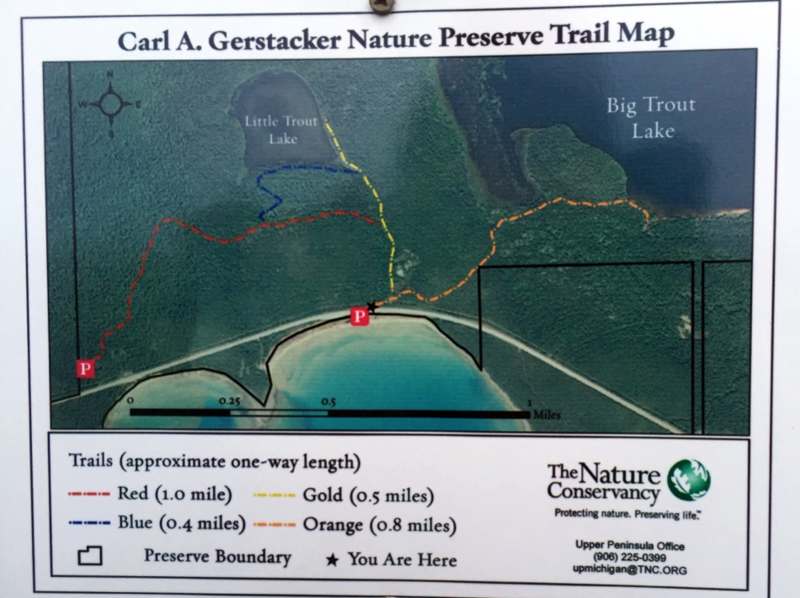 ​The trails of Gerstacker Preserve offer an interesting change of pace in habitat as they wind through old growth dune forest. Nestled within these woods can be found breeding warbler species such as Magnolia, Black-throated Blue and in some years Cape May. The red trail (see trail map at site, or in link below) will take you through particularly good Black-throated Blue habitat. Both the Red and Gold trails will guide you to a inland lake, Little Trout Lake, that is home to species such as Belted Kingfisher, Common Loon, and Green Heron. The beautiful Lake Huron beach that runs along this preserve can be a good place to look for migrant hawks, waterfowl, shorebirds and songbirds in the spring and fall months. In particular Sanderlings have been noted here in the fall months. Click the logo for more information about this nature preserve. The woodlands here are a great example of a successional forest that grew on what was once shoreline dune habitat. The Great Lakes are prone to large fluctuation in their water levels over hundreds or thousands year cycles, and as the water here receded, a forest of white pine, spruce, and oak slowly grow over the dunes. 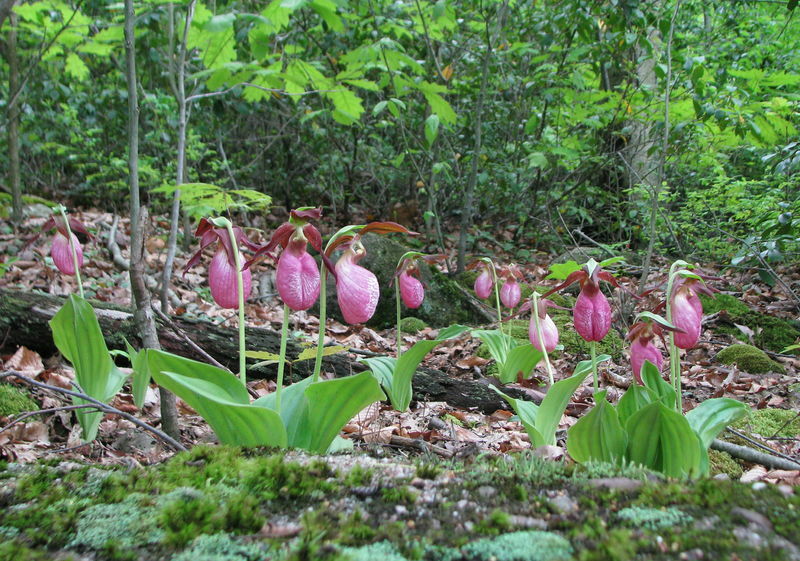 The Gerstacker Preserve is also one of the best places in the entire region to view the rare orchid known as the Pink Lady Slipper in the months of June and July.